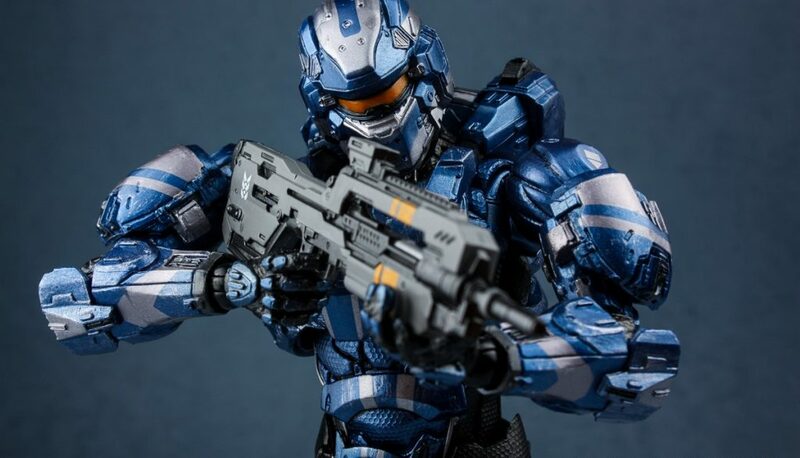 There are many different brands of Halo figurines out there, each bringing new characteristics and features to the table that make them stand apart. 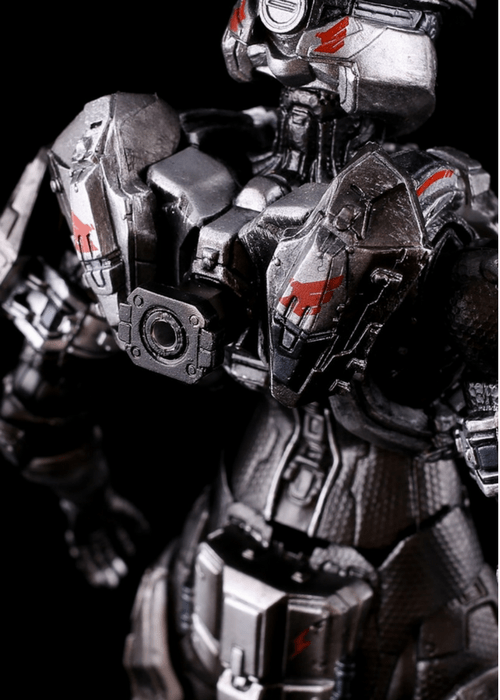 Play Arts Kai is no exception, bringing a level of articulation and detail that is unparalleled. 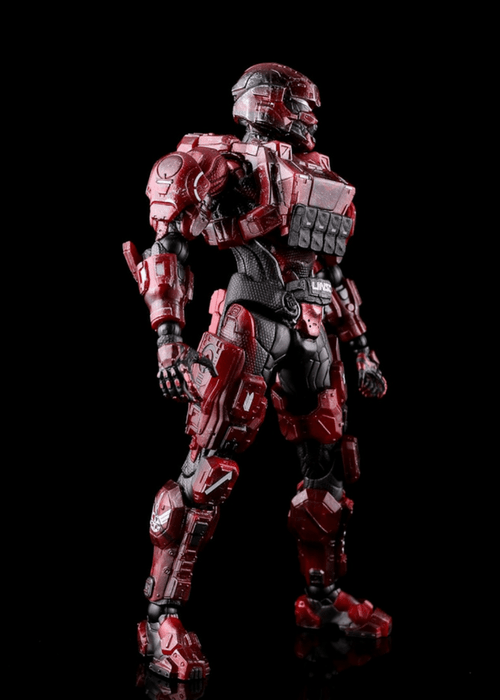 Starting with the Play Arts Kai Spartan Warrior figure from Halo 4, this is a more generic multiplayer type Spartan as opposed to some of the more iconic heroes from the Halo universe. 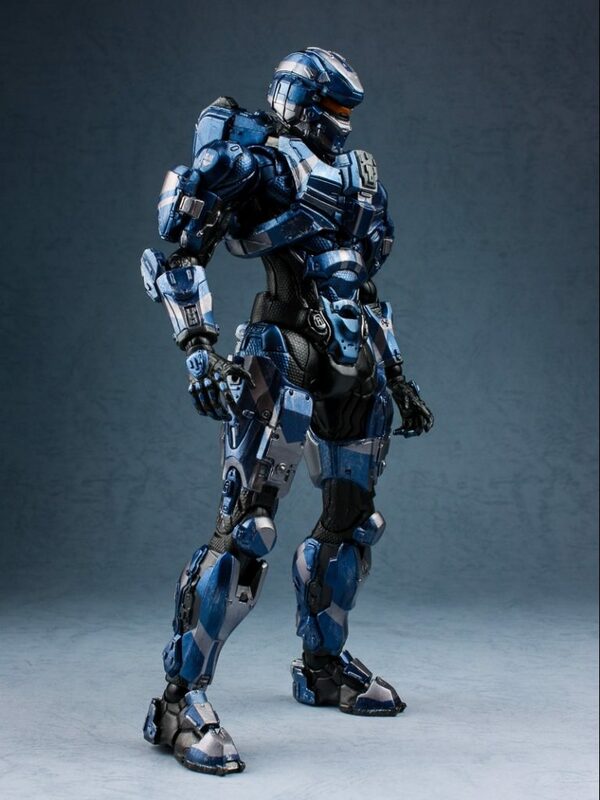 The Spartan Warrior comes with a highly detailed blue and silver paint job with a startlingly bright orange visor. With the entire Play Arts Kai brand, there really is no need to talk constantly about articulation but I’m going to anyway – the articulation is, in a word, astonishing. Almost every part of these figures can be moved with a series of ball and swivel joints that make posing and play a dream. Don’t even get me started on the ratchet joints which will keep the figures in whatever pose you can dream, with a very pleasing series of clicks. 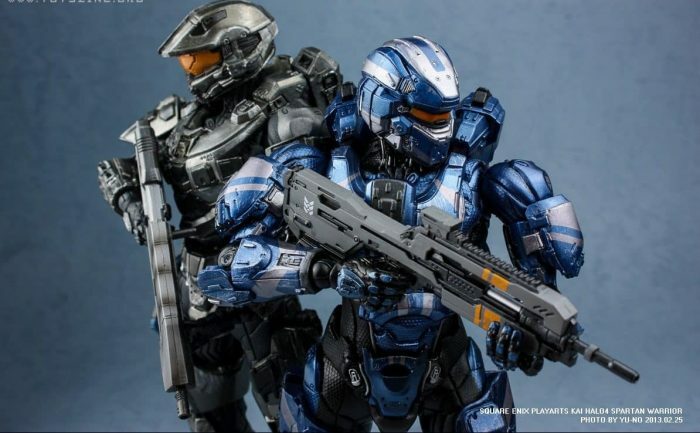 The Play Arts Kai Spartan Warrior comes standard with a highly detailed UNSC Battle Rifle (which is a staple of my Halo play) and a M6H Magnum which are mountable in one of three locations. 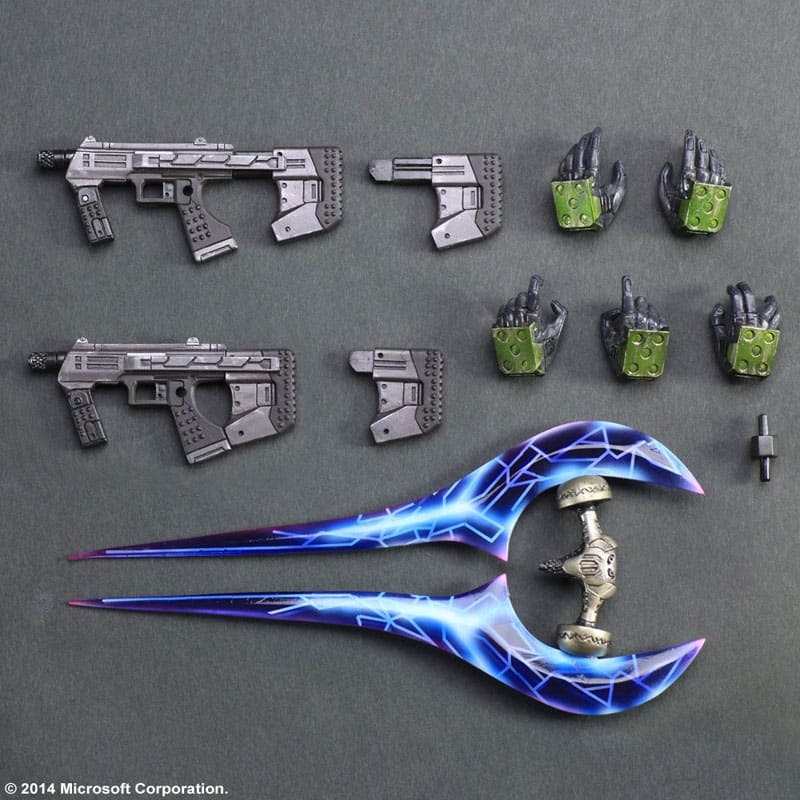 There are peg holes located on each of the thighs for the Magnum and one on the back for the Battle Rifle. However, an awkward design has attached the pegs directly to the weapons, which while making for easy attachment, does look a little out of place when in ‘firing mode’. 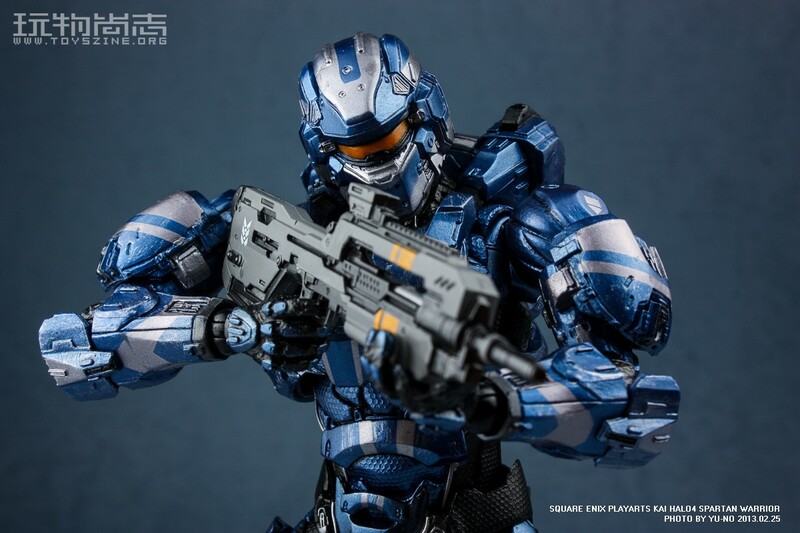 The Spartan Soldier Play Arts Kai figure is another highly detailed and intricate figure suitable for both posing and for putting the action back in action figure.The Spartan Soldier comes standard with the M6H Magnum and a Suppressor Rifle, both of which are highly intricate and beautifully painted. This figure, like most in the Play Arts Kai brand come with an interchangeable set of hands and a display stand for those rare moments when you put this figure down. 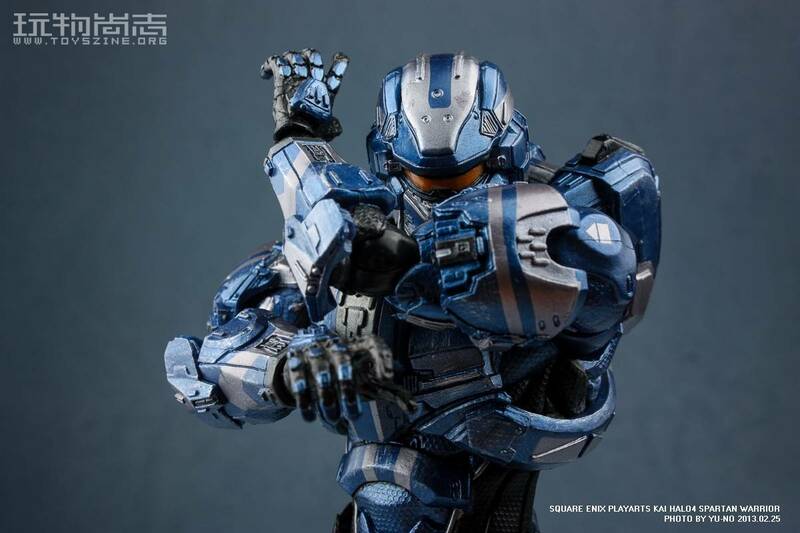 The Spartan Soldier does not stand out as resplendently as the above Spartan Warrior does but it does capture a certain intensity and sheen that has a definite charm. 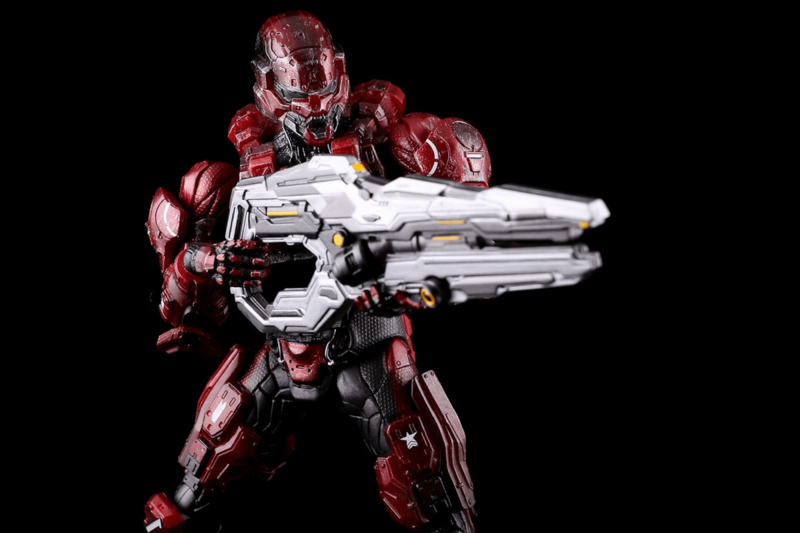 Standing at an impressive 9 inches tall, which is only added to by the giant Suppressor he carries, the Spartan Warrior is a welcome addition to any Halo collection. Now we are getting into the good Spartans. The name-brand Spartans, so hold on to your helmets. 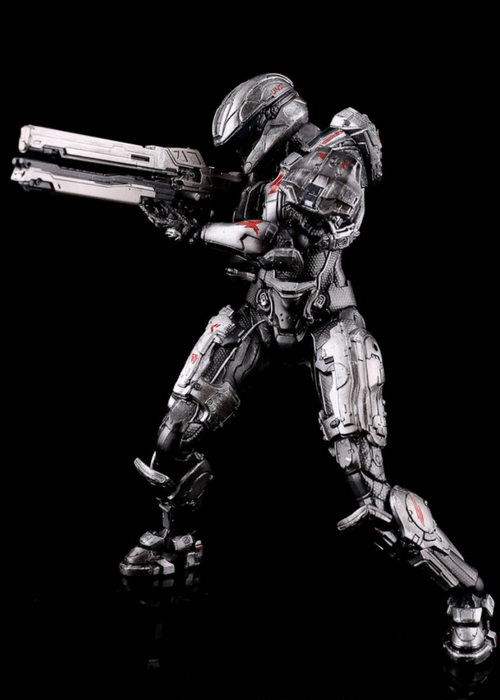 First up we have Commander Sarah Palmer who was part of the same Halo 4 series as the above Spartan Soldier. 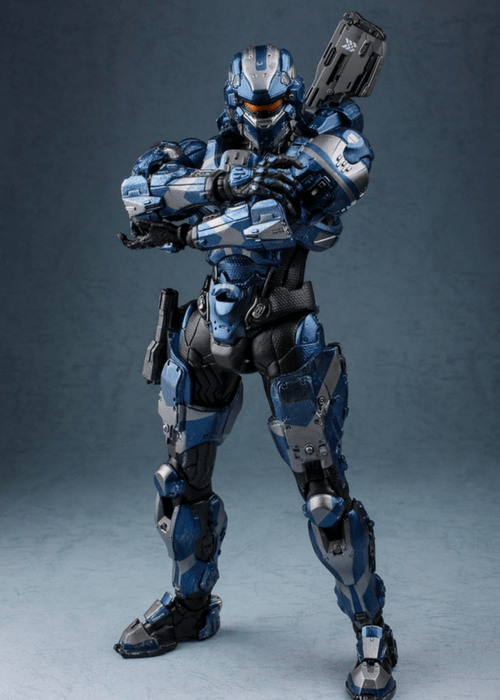 Commander Palmer is notable in Halo 4 as the Commander on board the UNSC Infinity where she runs into Master Chief, or more accurately, Master Chief saves her and her team from the Prometheans. She famously remarks to the seven foot tall Master Chief that she thought he’d be taller. 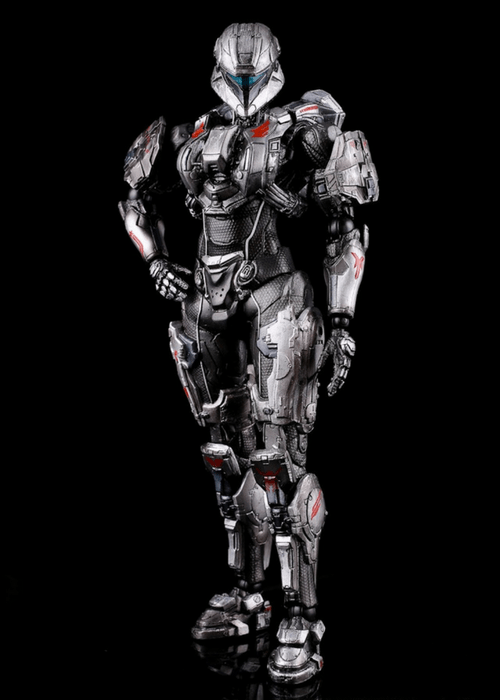 She is also later seen in the game being ordered to arrest Chief and decommission Cortana. Featuring a very sleek metallic paint job augmented by the splashes of red and the bright blue visor, Commander Palmer would brighten up any action figure collection. 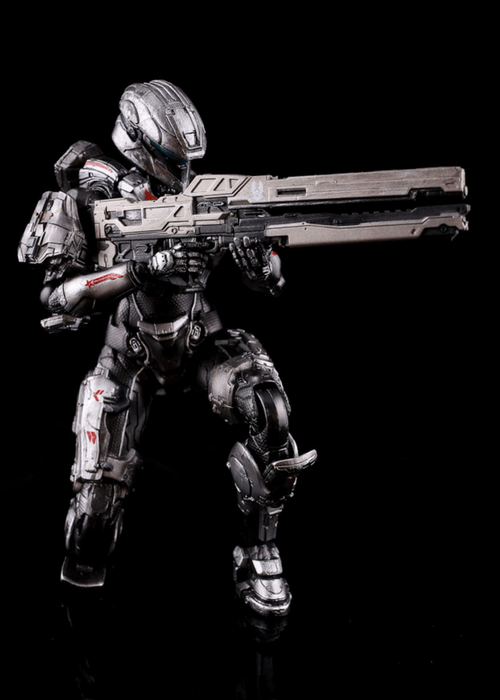 While the Play Arts Kai Spartan Soldier enters the battle with the Suppressor, Commander Palmer roams the battlefield with her trusty Railgun (Asymmetric Recoilless Carbine-920), as well as the Magnum Pistol. 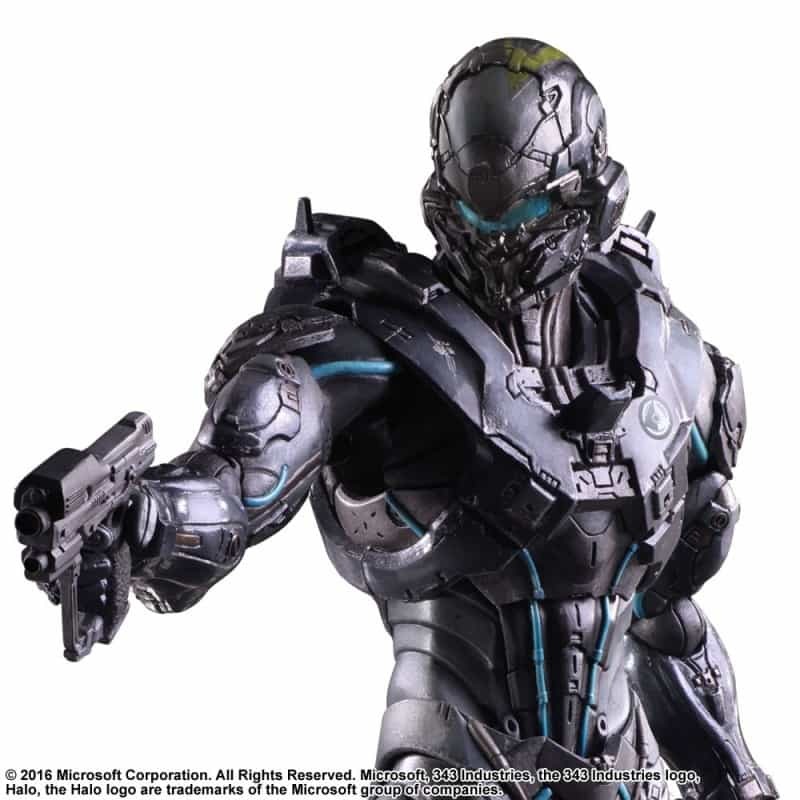 Spartan Locke is the ONI Agent turned Spartan IV and the leader of Fireteam Osiris. 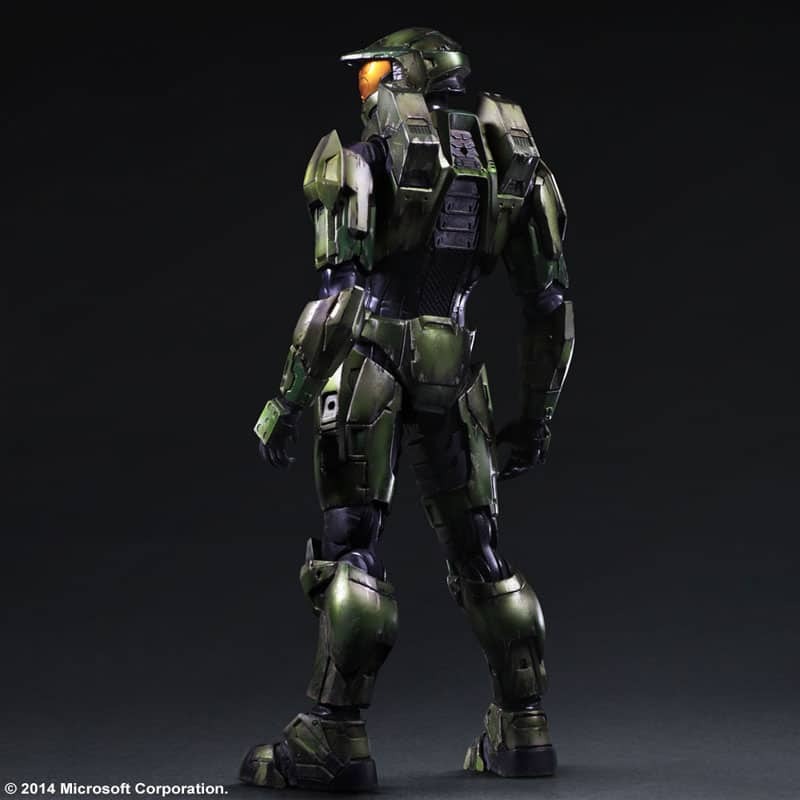 The campaign of Halo 5 was divided between playing as Spartan Locke and Master Chief. In many ways, you were playing both sides of one conflict. 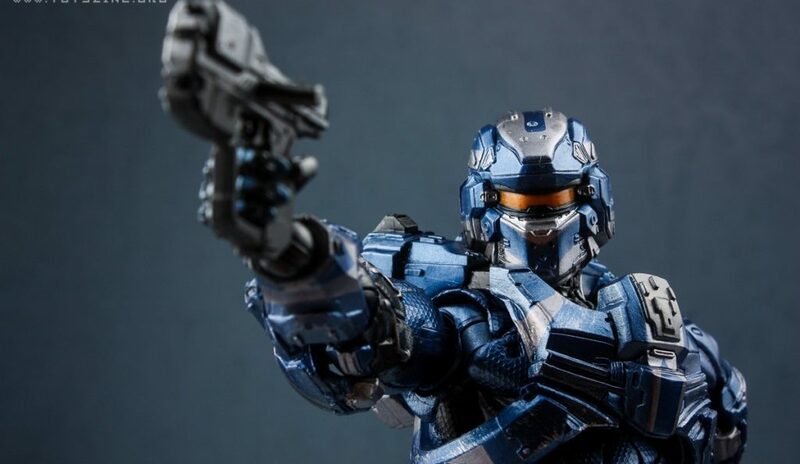 Throughout the events of Halo 5 Spartan Locke was charged with bringing Master Chief and Blue Team back to the UNSC while they were searching for Cortana. 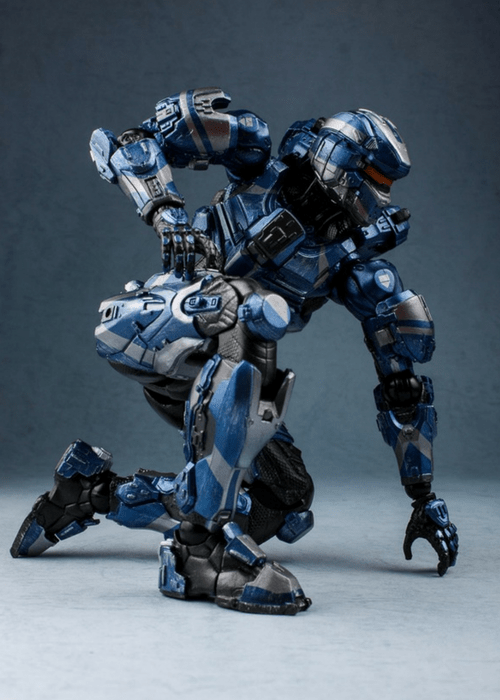 Within Halo 5, there is one scene involving Locke that is incredibly badass, which is, of course when Spartan Locke and Master Chief got into a physical altercation. 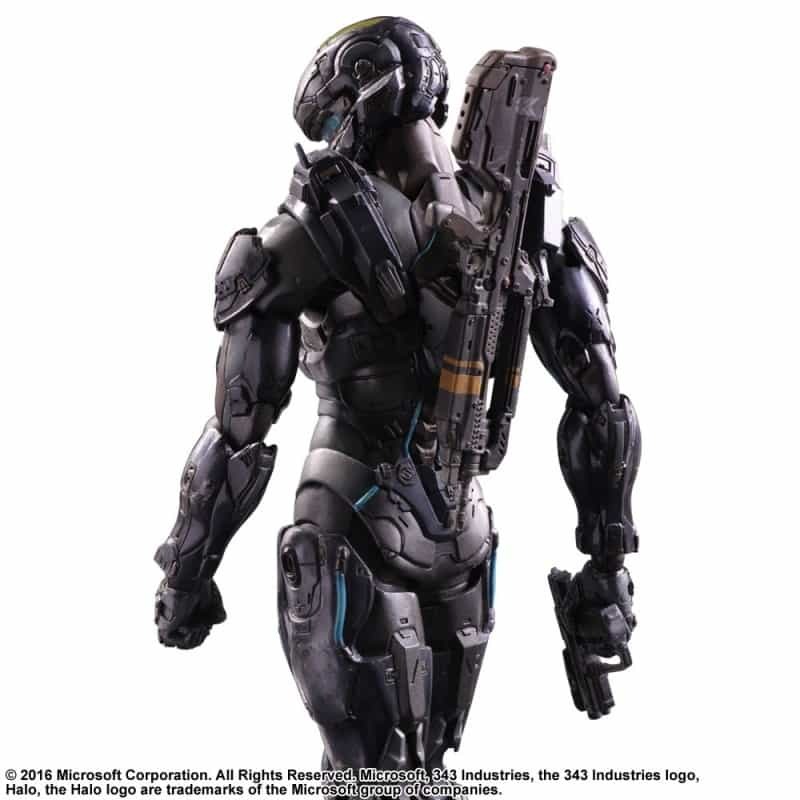 Essentially Locke needed to get close enough in order to place a special device that would lock up Chief’s armour. During the fight, Locke got a vicious hit on Chief that cracked the visor of his helmet. 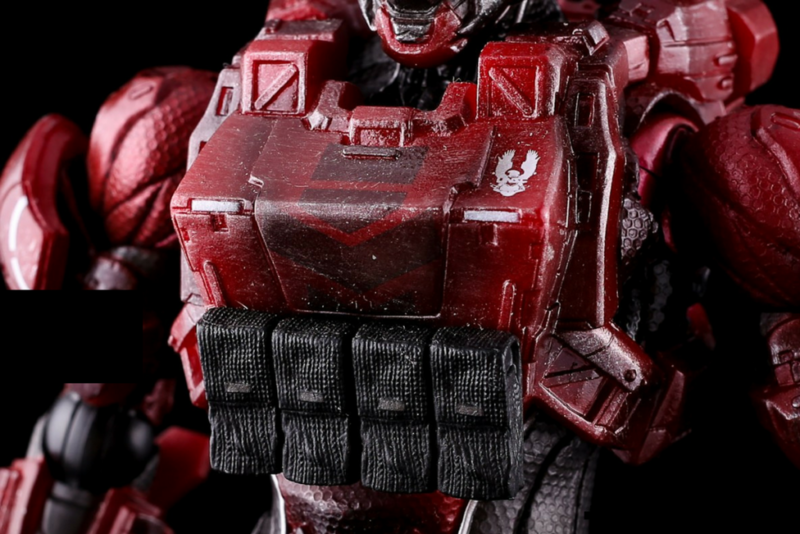 Fun fact, the Master Chief Play Arts Kai has an interchangeable helmet that has an accurate crack across it. 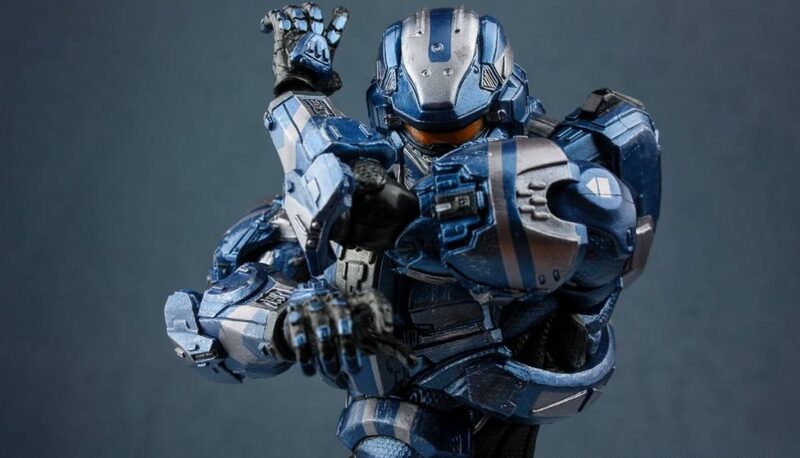 Spartan Locke has an exquisite paint job with a high attention to detail, from the sculpt to the weathering of the armour. There is even patches of mud and dirt, prominent around the boots and leg armour. 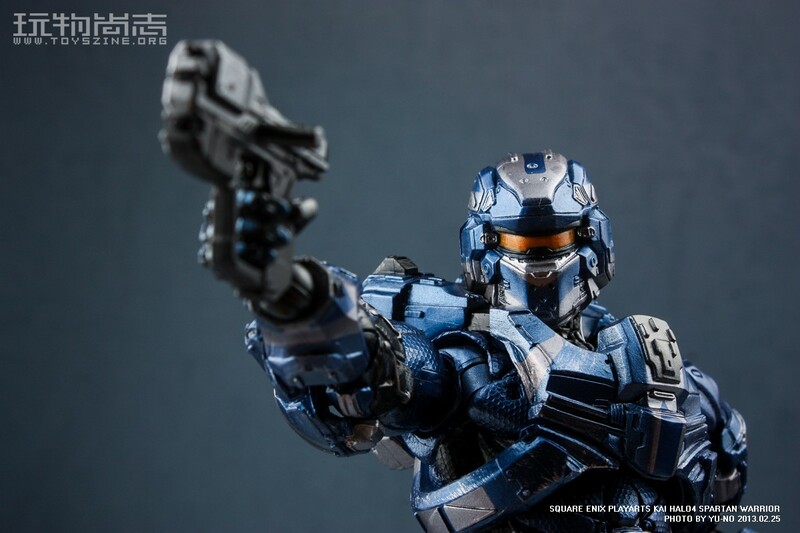 Spartan Locke comes standard with a Magnum Pistol and an intricately designed Battle Rifle, both of which can be mounted on one of two thigh holsters or on his back. No Halo related article would be complete without the one and only Master Chief. 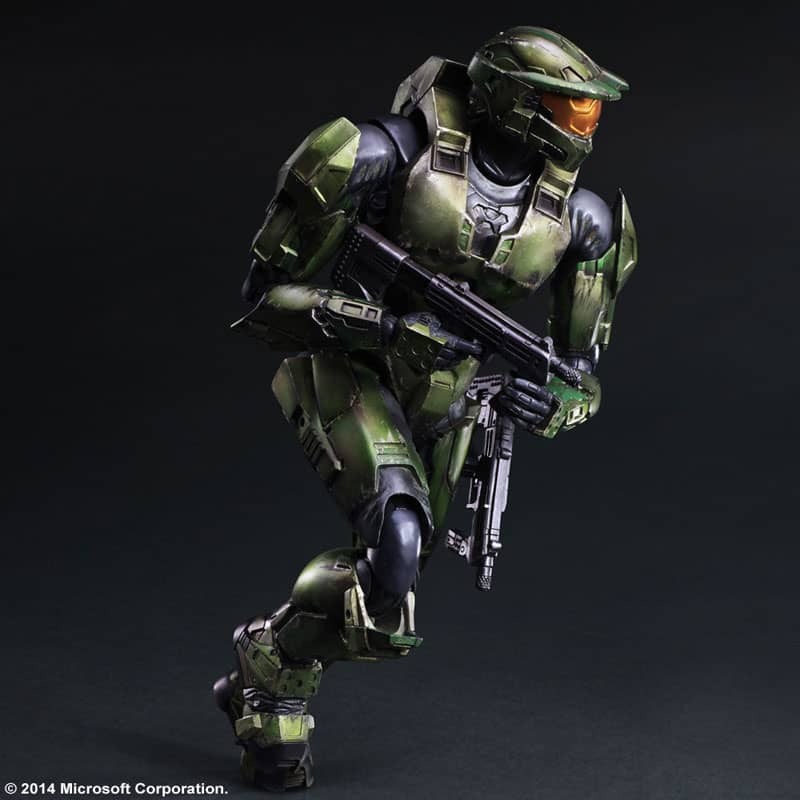 With the Play Arts Kai brand there are two notable Master Chief figures, the first being his rendition in Halo 5 and the above one which was created for the Anniversary Edition of Halo 2, which was remastered for release with the Master Chief Collection in 2014. 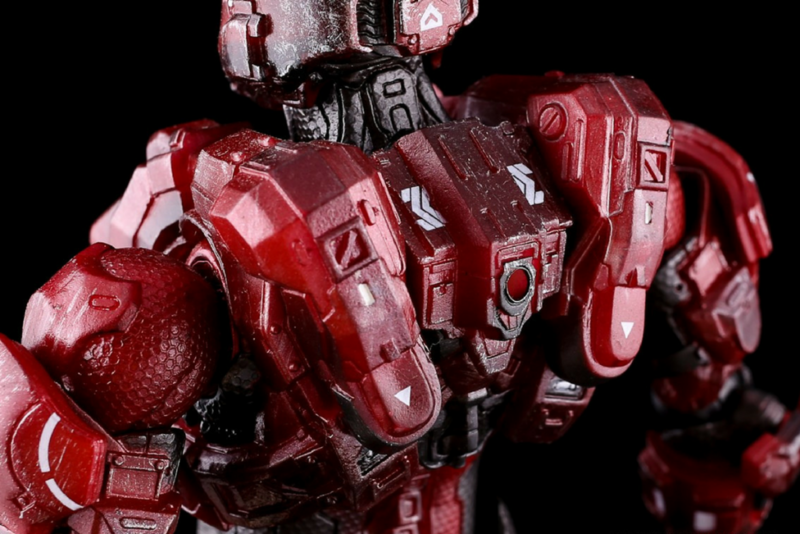 The Anniversary Play Arts Kai Master Chief is beautifully designed with high amounts of detail that captures the aesthetics of old school Halo. This Play Arts Kai figure comes standard with five interchangeable pairs of hands to act out any pose you can think of. 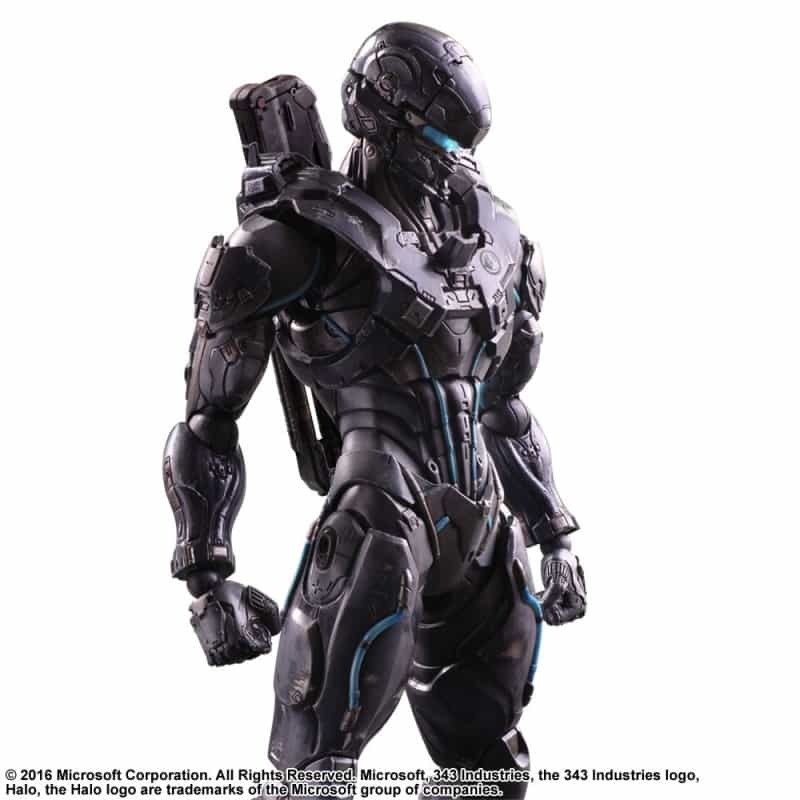 He is also highly articulated as is the case with all Play Arts Kai figurines. 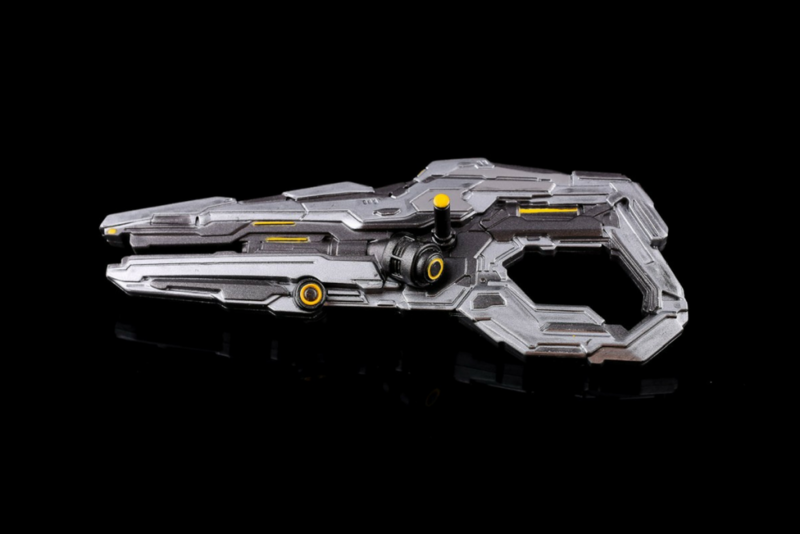 It isn’t just cool aesthetics that the Halo 2 Play Arts Kai Master Chief brings to the table but powerful weaponry. 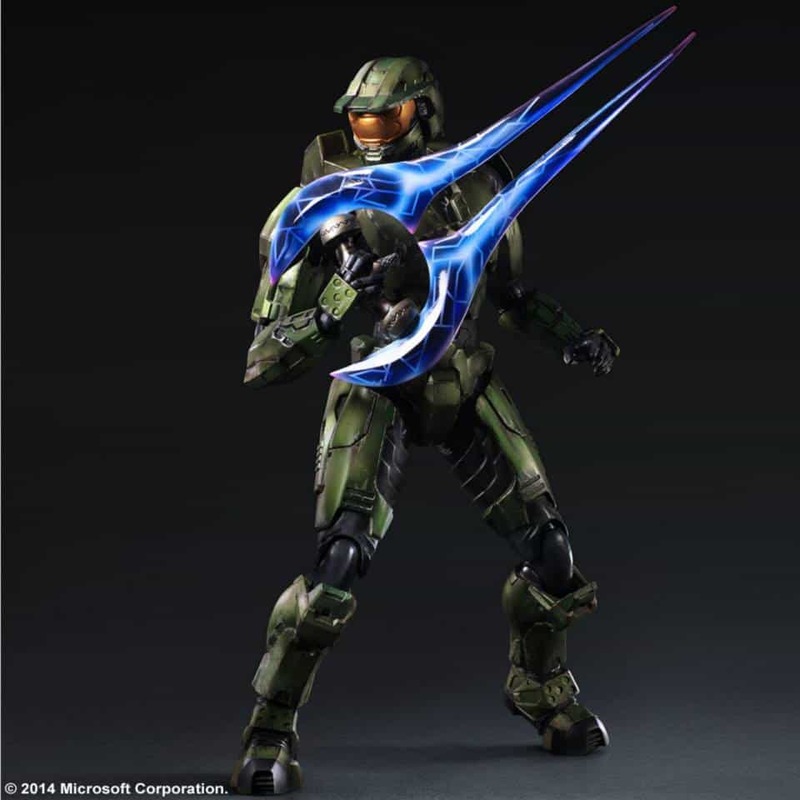 As a primary, Master Chief wields a Covenant Energy Sword for up close combat alongside twin M7 Submachine guns and his ever trusty Magnums. 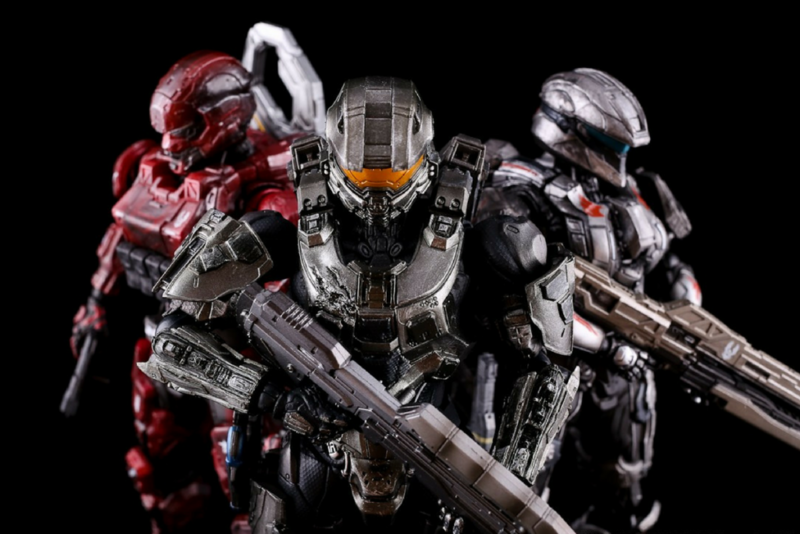 Square Enix’s Play Arts Kai Halo line offers incredibly high quality and detailed action figures that are well worth the price. They are moderately expensive but this is due to the tiny, intricate details they place on the figures, the massive amount of articulation and assorted accessories. They are the ultimate combination of an action figure that you can both display and pose on a shelf.